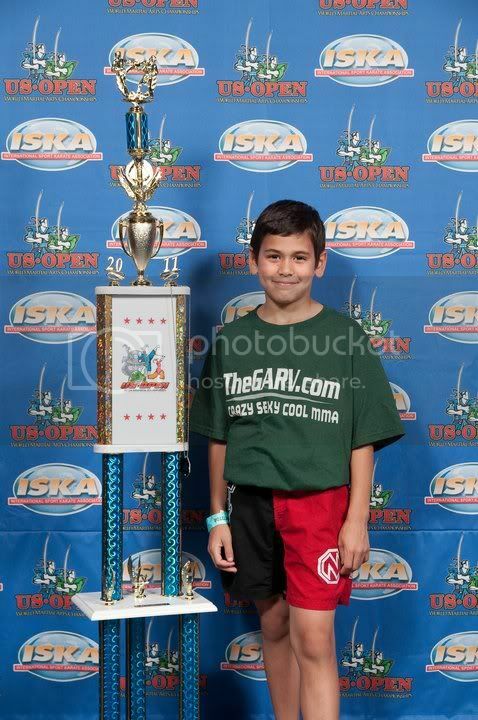 As readers of this site know, I've been amazed by 9 year old Raffy Marascio's well rounded MMA skills and have given him lots of coverage here. You can hit the Raffy MMA tab at the top to see all the articles I've done about this kid. But better than that, you can now go to his own website and see a ton of great pics and videos of Raffy in action. The site is RaphaelMarascio.com, and it chock full of great content already, with lots more being added almost every day. If you want to follow the career of Raffy as he makes his ascent in the world of mixed martial arts, his website is the place to do it. There are tons of pics of Raffy with some of MMA biggest stars and lots more. If you've never seen Raffy in action before, check out the above video. It's a comilation of a bunch of his monster takedowns in competitions all over the country. The kid is a phenom! Raffy Marascio continues to burn up the grappling circuits. 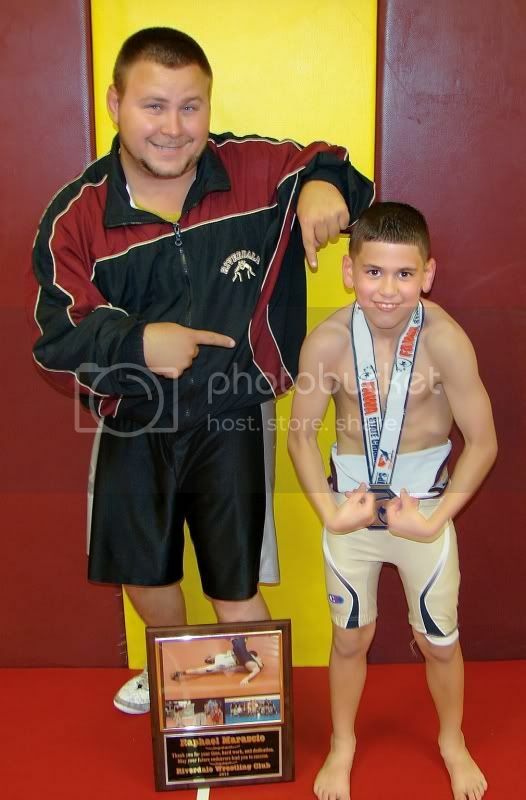 He recently earned a Silver Medal in the 2011 USA Judo Junior Olympics National Championships in Irving Texas, making him the 2011 2nd place national Junior Olympic Champion for 26 kilos and under in the intermediate 1 male division. It also ties him for 4th in the country in his Judo Olympic roster rank for Judo for Intermediate Jr's. In the tournament’s 22 man double elimination bracket, Raffy fought 8 times, losing only to the national champion, who is a year older. 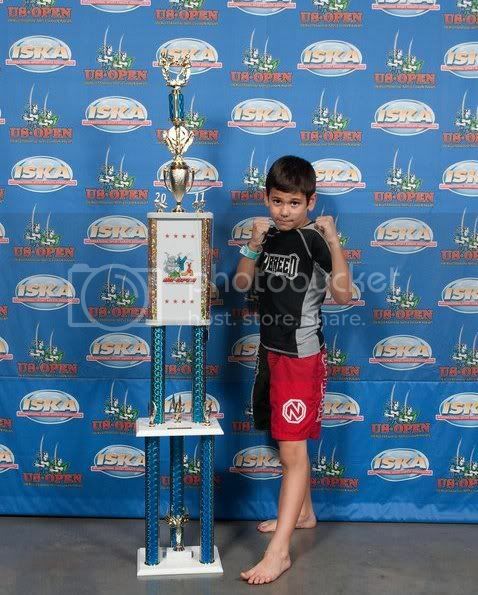 Raffy also placed first in the Naga Atlanta expert division, 59 pounds and under class. So this kid is definitely living up to the promise he's been showing since he was a baby. We've got some great video of his performances to check out. You can see them all on his YouTube channel: Raphael Marascio. And here are a couple videos of Raffy in action at the judo nationals and NAGA. Raffy Marascio: Thank You MMAHQ! Raffy Marascio, fresh off his win at the ISKA MMA championships, would like to take the opportunity to thank MMAHQ for their support. MMAHQ offers great a great "Deal of the Day" everyday, and have some of the best prices and products you will find. MMAHQ is partnered with BJJHQ, a place where you can find all your necessary BJJ gear at amazing prices. Check out both places before you look anywhere else. And for wholesalers, check out Zengu, the leader in fighting sports wholesale. Here's a video of Raffy in his huge trophy room with a special message for MMAHQ.com.